Pesta Kaul is a traditional cultural celebration of the coastal Melanau community in Mukah, in the central region of Sarawak. 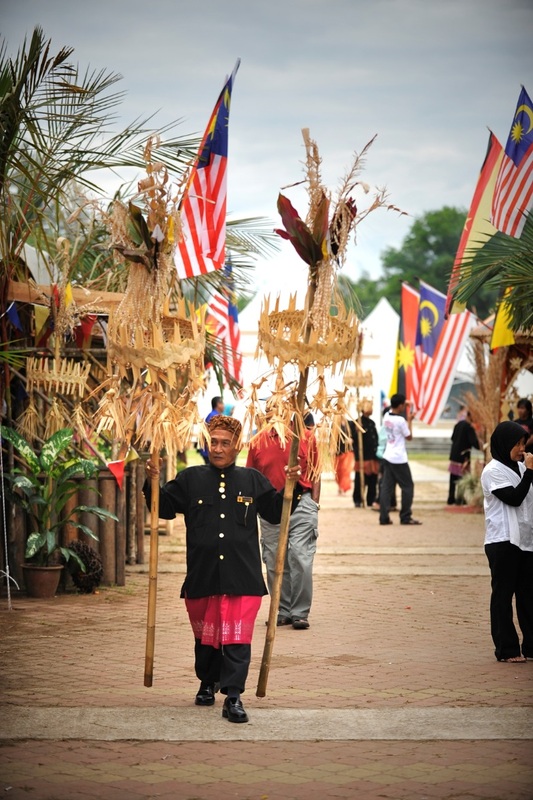 Originally celebrated as a religious ceremony to appease the spirits of the sea, land, forest and farms, the Pesta Kaul is rooted in the old animistic beliefs of the Melanau and their traditions in giving thanks and praying for bountiful years in the wake of monsoon seasons. While most Melanau no longer practice the old religion, the old rituals of purification and offering are still performed as a cultural spectacle to keep the colourful traditions alive. The Pesta Kaul offers attractions like the “Tibow” or giant swing, a display of traditional games, clothes, dance, music and most importantly, an abundance of traditional food to be shared together.